EU Consult International is a company specializing in EU affairs and the political and administrative decision making process. EU Consult International is owned and headed by Mr. Bo Manderup-Jensen, who has more than 23 years of experience with EU affairs. He has worked in the European Parliament as Secretary General for the Liberal Democrat Group, Director General of the Cabinet of the President of the Parliament, Director of Inter-Parliamentary Relations and as Chief Adviser to President J. M Barroso of the European Commission. 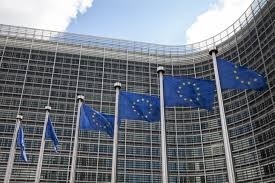 EU Consult International has specialized in advising private and public entities doing business with the institutions of the EU; Parliament, Commission and Council. EU Consult International has also an extensive knowledge and contacts to the Danish political and administrative system. EU Consult International was established in 2010.